Lots of people like to complain about the price of new construction apartments, and say they want to see developers producing less costly housing. Developer Allan Nadav agrees, and he is proposing a new 49-unit building at 1613-27 Germantown Avenue in Olde Kensington whose 440-square foot studio apartments would rent for just $750 a month. Melissa Romero at Curbed says the building would be one of the first micro-apartment buildings in Philly, and would be marketed toward early-career singles who prefer living alone to sharing a place with roommates. The units would be larger than the usual 350 square feet for micro-apartments, but Nadav would be able to rent them for $750 a month by keeping the design simple, without much in the way of amenities besides an in-unit washer-dryer and a 5x5 balcony. The project can be built by-right under the current zoning code, except for one problem: parking. Nadav has proposed three parking spaces for the project, which would be reserved for car-share services, but the zoning code requires 15 parking spaces, plus two ADA spaces, so he'll need a variance from the ZBA for relief. If the ZBA won't grant the variance, all the units would need to be priced higher than that $750 to cover the cost of the 15 spaces. And if Darrell Clarke's bill doubling parking minimums were to pass, the project would require 30 spaces. Once you're building 30 spaces, you're talking about digging pretty far underground to build a garage, which makes everything exponentially more expensive. The underground spaces could cost $50,000 or more apiece to build. 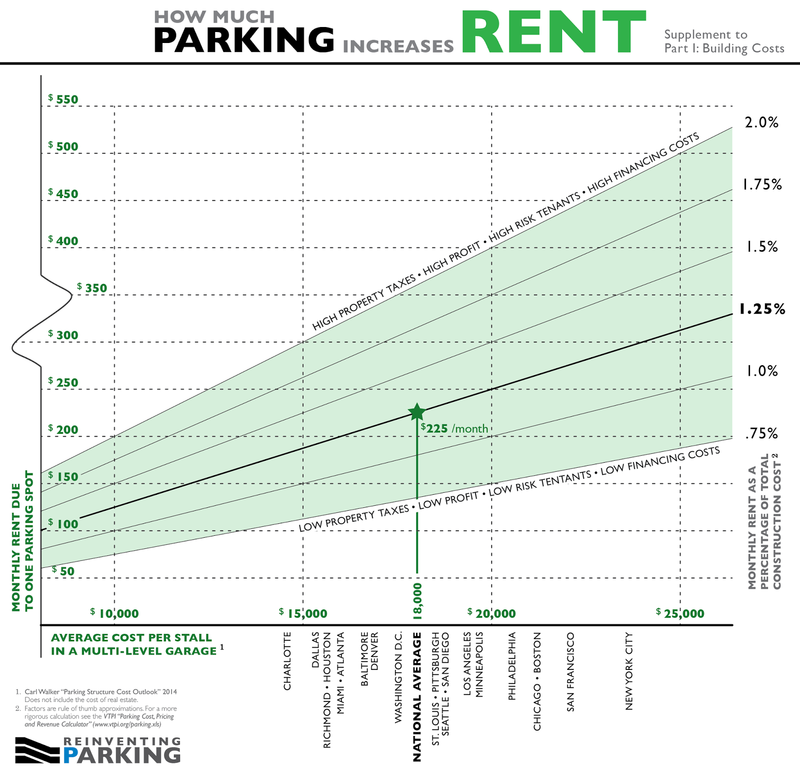 Based on some industry estimates, an additional parking space adds anywhere from $150-400 a month in rent, and an underground garage pushes that toward the high end. Some developers have insisted the cost of a 30-space garage would require even higher rent hikes than that. But even if you assume the lower range, the Clarke bill would still push the cost of these units from an affordable $750 into the much less affordable range of $900-1,200 for a single resident. This is in an area that's well-served by multiple decent transit lines, is about equidistant from the Market-Frankford Line and the Broad Street Line (10-15 minute walk), and has good access to the 15 trolley and multiple bus lines. It's a totally reasonable place to expect that people might move in who don't own a car, and it makes no sense for the city to force the builder to shoehorn in more spaces than he thinks people will want to use.